Be the fastest player to untangle your spaghetti and find it up on your fork! 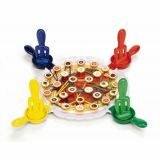 Includes: base plate, 4 forks and spoons, “spaghetti” cord, 28 “topping” pieces, 1 die. Light strategy action board game, no reading required . 2-4 players. Ages 4+. Who can manage to assemble the topping ingredients for their pizza first? The winner is the first player to complete two pizza cards. 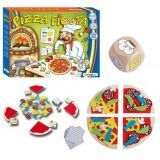 This game develops responsiveness, visual perception, shape recognition, colour recognition, and social learning. Ages 3 and up. 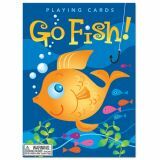 This new take on an old game involves fish-shaped cards and color matching, with bold colors like Hot Pink and Chartreuse. 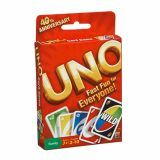 A great first card game that is easy to play. The mystery you love to solve again and again is even more intense! 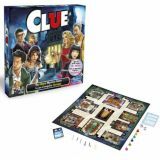 Clue is back with a modern twist, and you have to find out who is responsible for murdering the host at a millionaire's mansion or a boardwalk. Get the scoop on the updated rooms, weapons and guests, and start detecting! Was it Plum with the wrench in the bedroom? Or Green with the pistol in the kitchen? Narrow down what you know and make your accusation! If you're right about the location, weapon and suspect, you're the mystery winner! 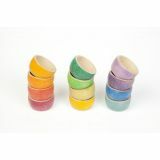 It contains 12 bowls in the colors of the rainbow. The 12 bowls painted with 12 different colours result in a harmonious colour scale, which brings balance and great sense of aesthetics to the children's game and, consequently, a great sensitivity to beauty. The bowls complement the heuristic game with actions such as filling up and emptying out, going through and loading, etc. A bowl can be used to cover another bowl and, in that way, its content can be hidden or made to disappear. This game brings both pleasure and distress: the disappearance, the lost and found of the self and of our own treasures. Clean with a damp cloth. Ages 3 and up. “Next to”, “behind” or “in front” – with ToPoLo-Go “Visio” two-dimensional images can be copied three-dimensionally, and spatial positions can be understood easily. 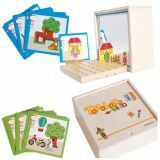 The cards are assigned to three levels of diffi culty and show sceneries and figures in different positions, which need to be copied on the grid board –depending on the alternative to play with or without the magnetic or the mirror board. Spatial sense and imagination are trained in particular. Ages 4 and up. The classic game of colour recognition and counting. Set includes instructions and full deck. 2-10 players. Ages 7 and up. 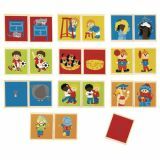 On their turn, players turn a card and reveal a picture with an object to find (shape or color). Be the fastest player to find the corresponding object on the picture! The first player to spot the object wins the card. Then another turn starts. The first player to get five cards wins. 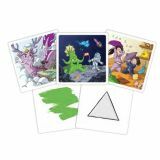 Eyedentify is a fun accessible family game that develops observation skills and knowledge of shapes and colors. Players 2-6. Ages 4 and up. 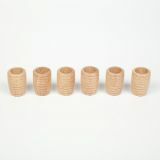 It contains 6 Honeycomb Beakers in natural wood finished in natural waxes. Clean with a damp cloth. Ages 3 and up. 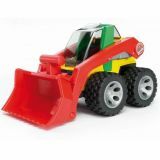 The ROADMAX series is designed and has functions for small children. The small compact loader is likeable from the start. It is a great team member and can load ROADMAX trucks and trailers. Cab can be opened and the bucket arm's height can be adjusted very simply. Powerful primary colours and a round, pleasant-to-hold shape suited to the target group are an expression of quality for small children. Transparent driver's cab opens from above. Manufactured from high-quality plastics such as ABS. Measures 10" x 6" x 6.10". Ages 2 and up. Shuffle the cards and arrange face down. Players try to collect pairs of playing cards which are the same or opposites of each other. The one with the most pairs wins. The players with the red card now have to show, through words or actions, how one of their sets are opposites. This part of the game is endlessly fun and creative. 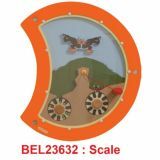 The five individual elements (Head, Turn Labyrinth, Scale, Spinn Top, and Clock) present an exceptional wall decoration and offer children different possibilities to play. Clear designs with a high stimulative nature point out the various options to play. Motor activity, creativity and communication are fostered in particular. The different elements are gliding over the play wires and train and eye-coordination and fine motor skills. Balls can be transported through the wheel labyrinth by the help of the magnetic stick. With the help of the magnetic stick the balls are carried onto the pair of scales.By turning the orange wheel, all other wheels are turning, too. Depending on the fastness, special visual eff ects will arise. A clock that off ers a playful access to the topic “time”. The small wheels show the four diff erent seasons and four different times of a day. Ages 3 and up.